Instagram now has over 800 million active users. It is unarguably one the most far reaching social media platforms you can get your hands on. Instagram has proven itself to be a great advertising platform for businesses and shows no signs of slowing down. eMarketer estimated the worldwide ad revenues to exceed $10 billion dollars by this year. This is quite an increase from just under $2 billion in 2016. If you’re not already using Instagram to increase the reach and build brand awareness, you’re missing out. Thankfully, its relatively easy to get your business up and running, you just need enough time and effort to implement a well thought out strategy. Your first step should be going out and finding other business similar to yours and studying what they are currently posting. Look at the colours, the type of imagery, the people in the photos, the location etc. Think about how it makes you feel when you see their content, what kind of emotion are they pulling from you, does it make you want to be a part of their culture? If yes, then model what they are doing. We aren’t saying to copying what they’re doing, but for now, write down things that you like and things that you don’t like. It’s no secret that Instagram is image based and heavily image driven. What’s the first thing you see when scrolling down your feed? The image. The text is cut off and you only see a couple line, and it’s mostly greyed out and very much not the focal point. The image must be engaging and grab the user attention, with the attention span of your average Instagram user resembling that of a goldfish, this is no easy task. It has to be thought provoking, relevant and interesting. Saying this, you shouldn’t be overthinking every post you put up. We are all known to be mindlessly scrolling, barely even looking at our screen with our minds wandering off when we’re on the platform. But that doesn’t mean that you can post rubbish and still expect to see some kind of results. Now that you have some idea on what your competitors are posting and the angle they’re going for, it’s time to decide on what you want to start posting! This changes entirely on industry to industry and obviously I don’t know what kind of legal obligations you may have within yours. But, you want to be posting content that is; 1) Relative to your industry. 2) Speaks how you want your ideal customer to speak. And 3) Keeps existing and potential customers engaged with your brand. So hopefully you already know your ideal customer, or at least have some idea of who they are, what they do, where they hang out and what other kind of things they spend their money on. We have found that it is best to actually give this “ideal customer” a name, give them an outfit, hair style and friends. It might seem a bit odd, but it will help you think and realise who your target market it. And hey, doesn’t hurt to try. Instagram has changed its algorithms a lot in the recent years, to the point that it almost doesn’t matter ‘when’ you post, but more so ‘how often’ you post. Instagram favours regular, high quality and high engaged content. It is a general recommendation that you post at least once per day, twice if you feel the need to. And that’s just for the standard Instagram ‘feed’ post, Instagram stories is a whole other mind field. Now, I’m sure we all follow someone who feels the need to put every waking minute of their lives on the instagram stories, we are saying to do this. But, I believe business owners could take a leaf out of their book. Instagram stories are a great way to drive existing followers to your page and keep them in the loop! It won’t necessarily get your page discovered by new people (that’s what your Instagram Feed posts are for), but when they do land on your page and you have a story that’s been posted in the last 24 hours, they are liking to look. It helps keep your profile looking lively and active, and is just another great way to keep engagement up on your profile. 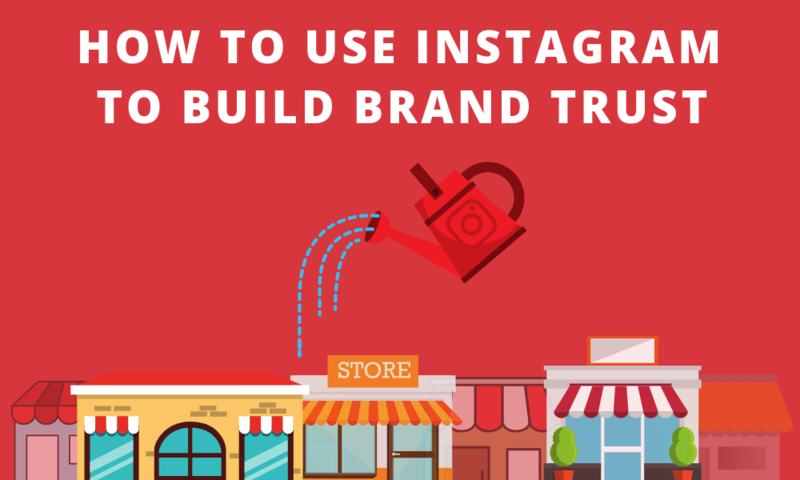 Instagram is an amazing platform for building your brands image and communicating with your existing and potential customers. Try not to overthink your content, keep it lighthearted, keep up with current trends and keep your audience engaged. If you are struggling to come up with ideas or are just feeling overwhelmed with the road ahead for your business and instagram, get in contact with us today! We over free consultation calls, so you have nothing to lose and everything to gain!